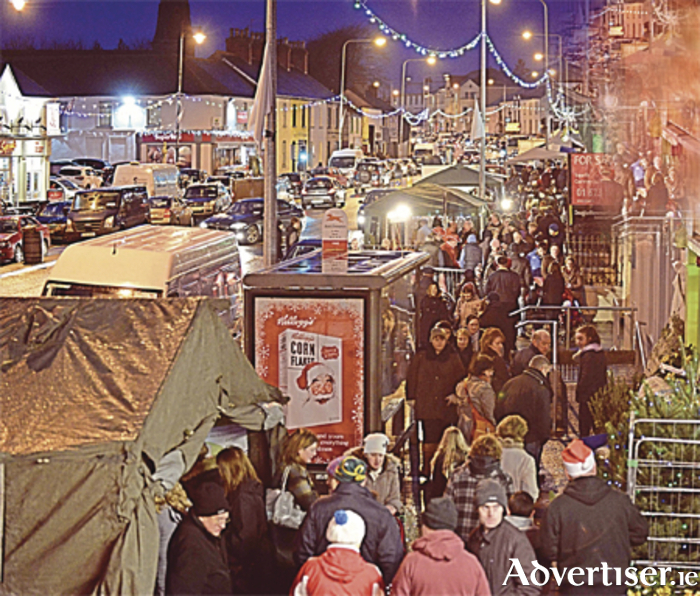 Moate Christmas Market is well on track to build on the massive success of last year, with 50 stalls already confirmed. The festive market will take place in Main Street, Moate on Sunday, December 13, from 3-7pm. Some 50 stalls have already confirmed their place at the market selling a wide range of local produce, fine foods, arts, crafts, jewellery, and many Christmas gift ideas. Like last year, the market will offer much more than a regular market. There will be lots of on-street entertainment including live music, a busking competition, a magician, merry-go-round, a visit from Santa, and much more. Athlone A Cappella Group, Project 37, Streetwise, The Little Big Band, and The Celtic Blondes are among the local musicians and entertainers that have confirmed their place at this year’s market. Local magician Oisin Foley will also make a welcome return as he continues to surprise people with his amazing tricks. New to this year’s market is the busking competition. This year, market goers will be treated to a complementary marshmallow as they enter the market village, while a new feature this year will the moving crib. There will be lots of entertainment for children throughout the evening with a merry-go-round, The Big Red Bus, Tin Can Alley, face painting and the man of the moment, Santa Claus, who will visit the market grotto where he will meet and greet children and give out small gifts. There will be no charge to see Santa. There will be plenty of parking on the day with stewards on standby to help market goers. As an incentive for stall holders to get into the festive spirit, the best decorated stall will win back their entry fee. Local councillor, Michael O’Brien, said this week: “There is a huge interest and demand for the market again this year. “The committee and I have just being overwhelmed by the interest we are getting from far and near. There is a great buzz about the town and surrounding areas in anticipation of the Christmas Market. If you are interested in applying log onto Moate Christmas Market Facebook page or email [email protected].